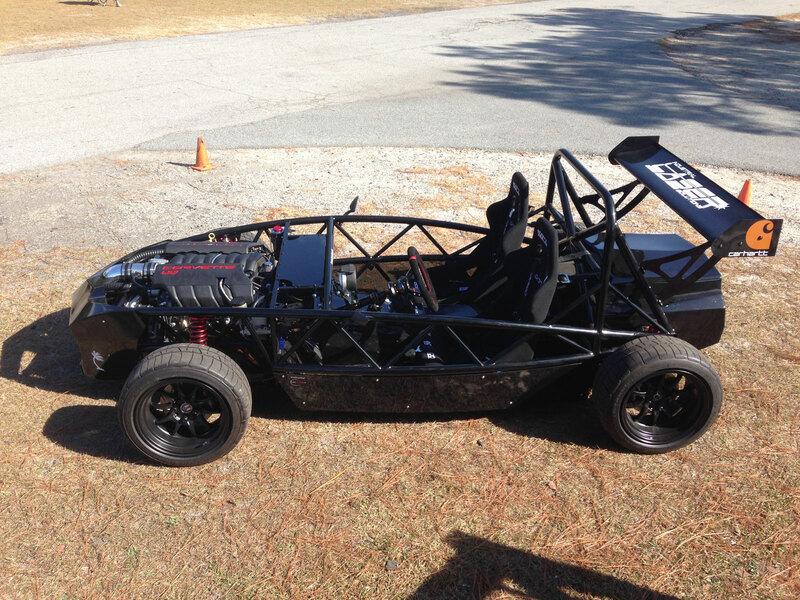 Exomotive’s Exocet Sport featuring a LS376/525hp V8 was built in late 2014 to test the V8Roadsters/Exomotive-designed, GM LS-based V8 swap kit for the Exocet. 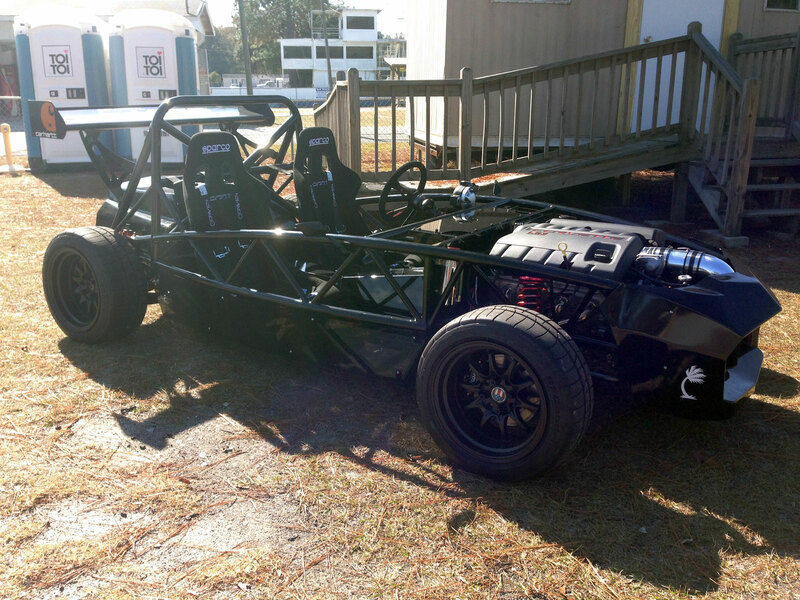 The car uses a 2002 F-body T-56 transmission and a Cadillac CTS-V 3.23 rear differential. This monster on four wheels produces 525hp and weighs in at 1696 pounds wet. The Exocet Sport’s chassis is powder coated in gloss black and features the optional passenger diagonal in the roll bar. 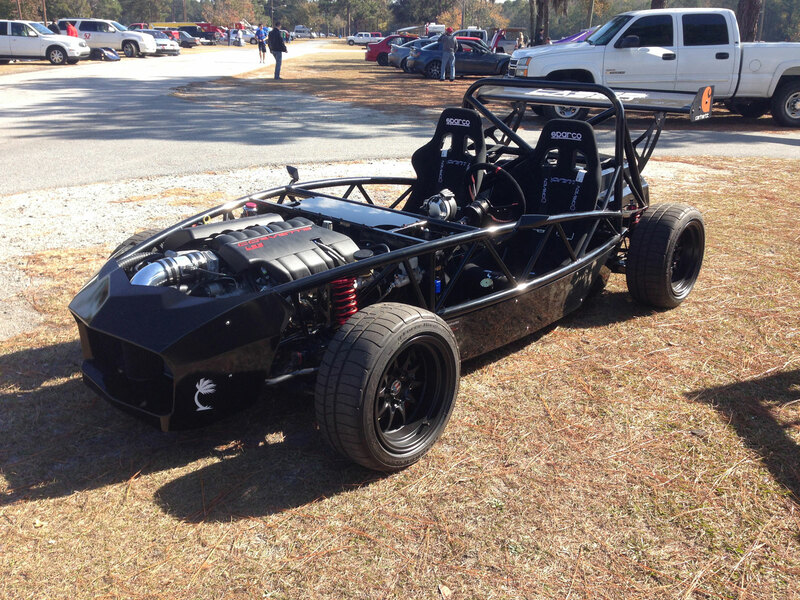 This car was Exomotive’s first V8 Exocet build to develop and demonstrate how extreme one can go. The car features a brand new 525hp LS3 from GM Performance. Total weight with fluids and a full tank of gas on scales at Roebling Road was 1696 pounds.